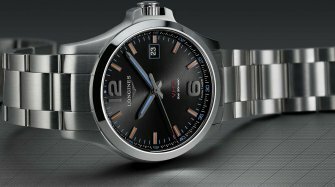 In Rome, Longines has just unveiled the latest version of the Conquest V.H.P., with GMT function. The time zone is set via mobile phone, but this is not a connected watch. “If anyone had suggested a connected watch, they would have been packed off to the gulag!” Walter von Känel, Longines’ combative CEO, who celebrates thirty years in post this year (he started in 1988) always conveys his messages in the same way: with a smile, an engaging turn of phrase, and a complete lack of ambiguity. On 9 September in Rome, in front of 200 guests, the “Colonel” (his rank in the Swiss Army) stuck to his guns: there is not and shall never be a Longines connected watch (at least not while he has anything to do with it). In private, he doesn’t hesitate to name it “Public enemy number one.” Well, at least we know where he stands. And yet, the new Conquest V.H.P. does indeed communicate with a smartphone. However, communications are transmitted without any form of waves: no Bluetooth, WiFi or radio. So what’s the secret? Flashes of light. 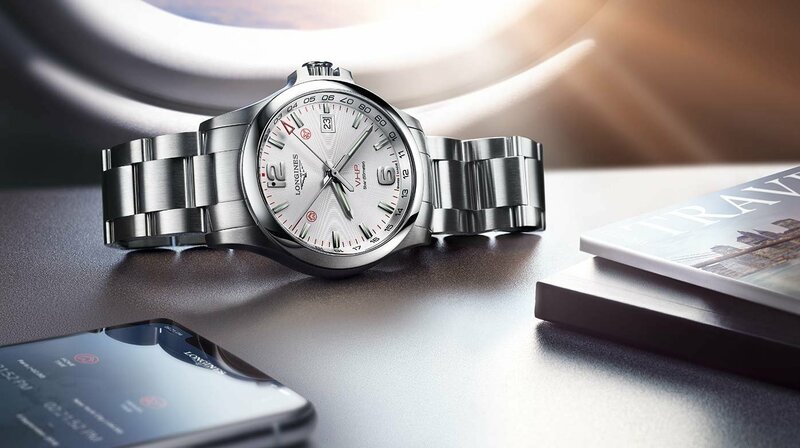 The principle is very simple: when the wearer arrives at their destination, they select their new time zone in the dedicated Longines app. Once the location is selected, the phone is placed next to the watch, and that’s it. Between the former and the latter steps, what passes is a brief series of flashes lasting 50 milliseconds, which are captured by an optical cell hidden on the dial. It’s more or less the same principle as Morse code: the phone sends its binary light beams to the watch, which translates them into a command to set itself to a specific time. The messages are received by a minuscule optical cell, which is barely visible inside the 1 of the number 12 at the top of the dial. And if you don’t have a smartphone to hand, it’s entirely possible to set the second time zone just by using the crown. In fact, the technology is not new. A few years ago, it would have been possible to see it in action on clocks in the Netherlands. Years back, ETA was inspired by it, developed it further, patented it... and then shelved it. 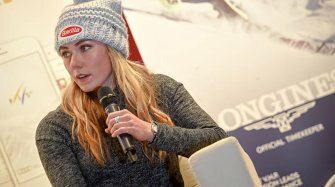 The reason was that none of the Swatch Group brands showed any interest. Rado developed a functional prototype for Baselworld last year, but it was very low-key, and we haven’t seen it since. 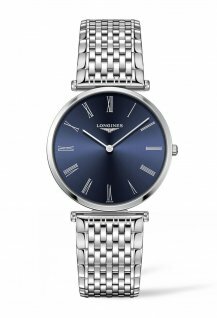 Walter von Känel decided Longines wanted a piece of the action, but he requested some modifications. First, the technology had to be miniaturised: a watch is not the same as a clock! 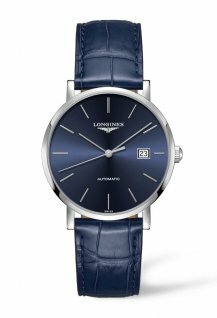 Also, the Longines CEO wanted the light sensor on the dial side (ETA’s initial proposal was apparently to put it on the back). 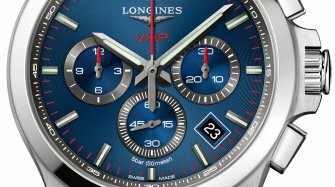 And finally, Longines demanded that it must not jeopardise the 2017 V.H.P.’s autonomy of 5 years. Behind the scenes, ETA admits that this was one of the main challenges. The power consumption of its Flash Setting movement had to be drastically optimised so that it, too, could boast a 5-year power reserve. Beyond that period, the information recorded by the Conquest V.H.P. GMT Flash Setting (perpetual calendar, local time and home time) is retained in memory for a further six months, before the battery dies completely. Perfect: the enemy of good? The idea of “flashing” your watch is pretty unusual. 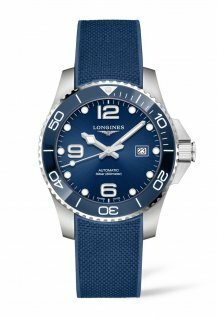 But Longines has made the operation very simple. Everything happens on the crown. The app is simplicity itself. And what’s more, one press on the crown swaps local time with home time, which is very useful once you’re back home! In terms of possible improvements, it would be nice if the app could remember a selection of favourite destinations – many travellers, particularly business travellers, regularly visit the same places. Also, the pusher-crown cannot by definition be screwed down, which means that the watch is guaranteed water resistant to only 50 metres. 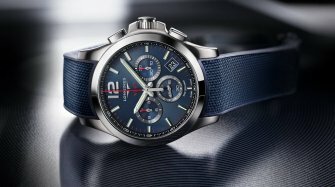 That’s a little disappointing for a travel watch that it should be possible to wear anywhere in the world, and it’s certainly something Longines and ETA should look into very soon. Apart from that, the brand notes that the specifications of the next-generation V.H.P. have already been defined. We also know that forthcoming models will be available with a ceramic bezel. The Conquest V.H.P. GMT Flash Setting will arrive in the shops between September and October, with the first batch delivered to Italy, the launch country. Variations will be available in steel, PVD, 41 mm or 43 mm diameters, and a choice of straps. For the time being, Longines has exclusive use of the Flash Setting technology. Prices start at CHF 1,250 including VAT (CHF 1,550 for the PVD version).